Being an experienced team developing WordPress themes for over 30,000 users across the world, one question that we get asked the most is: “Shall I use WordPress to build my online course website or use online services like Thinkific or Teachable. Which is better and why.” Indeed, it is very complicated and not as clear as black and white. Each solution will be perfect for each specific situation. Therefore, today we will point out some basic differences between Teachable and WordPress. This will compare the pros and cons of creating an online course website using Teachable and using WordPress. 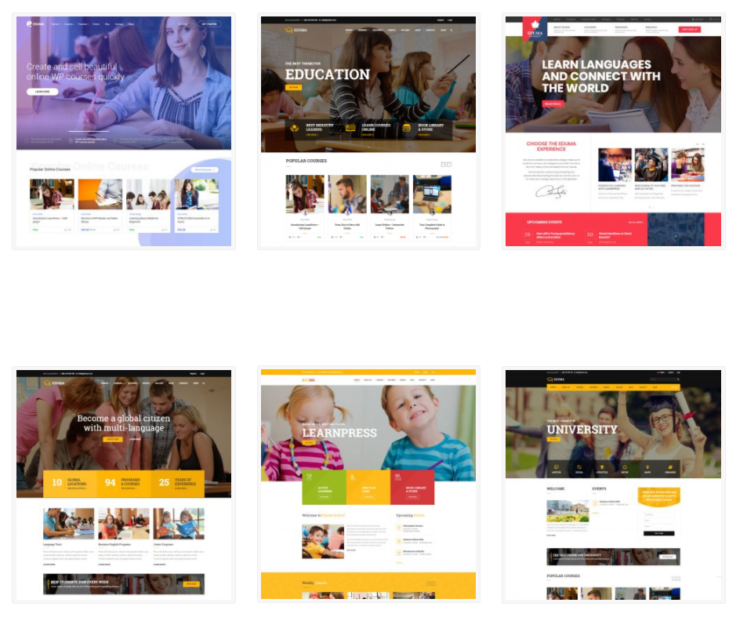 To be specific, we will pick the combination of LearnPress LMS and Eduma theme as our WordPress education stack to make comparisons with Teachable as LearnPress is the best WordPress LMS and Eduma is the best education WordPress themes. There are plenty of other WordPress LMS and education themes that are also very easy to use with many features but the general productivity won’t be as comparable as LearnPress. In terms of setup price, both solutions would take you nothing to create an online course website up and running. However, the feature will be very limited and the site should work well for only some users. To actually be able to make a living selling online course, you will need to upgrade the site. The maintenance price for Teachable will be from $39 to $299 per month. For $39/month, you will lose 5% of transaction fees to Teachable and get way less features. 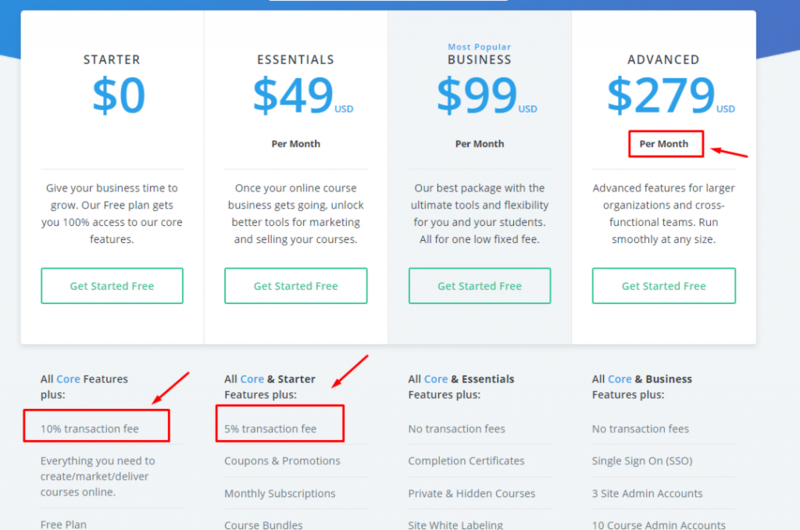 Meanwhile, using a self-host WordPress solution such as LearnPress LMS with Eduma Theme you will pay an upfront cost for the theme, the LMS system of $69 for life-time access and only need to pay yearly subscription for your domain and hosting of about $5 per month on average. In total, it would be around $130 to $150 yearly. This is about 80% cheaper than using 3rd Party Hosted platforms like Teachable. 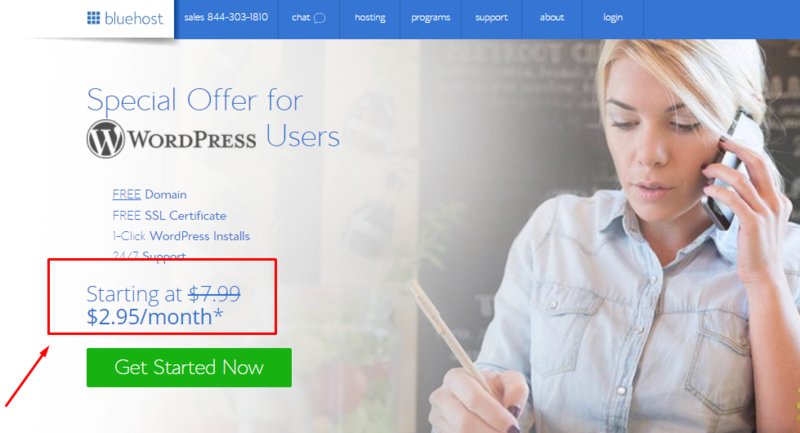 One typical WordPress hosting pricing plan, only a few dollars a month. Why 3rd Party Hosted Platforms are expensive? Sites like Teachable, Thinkific or Kajabi often insists on providing unlimited hosting and this is the reason why their costs soar that high. However, this is only beneficial for large schools with already thousands of students studying making millions of traffic a day. For newly created websites to mid-size schools, the daily traffic would be anywhere from as little as 100 to ten thousand traffic a day and this won’t cost you too much resource for hosting. It is our recommendation that when you first started, you can start small and pay as you go so you don’t have to worry of the overhead cost that you would want to avoid. Using self-hosted WordPress would be a great solution for you in this regard. One big plus of using WordPress is that you have unlimited power to edit anything you want and freely tweak your site to get the ideal conversion rate. This is important because as we all know, just a tiny modification on your landing page can boost conversion up by some percentages and increase your overall revenue. Therefore, having the ability to tweak the design, layout a little bit is very important. It’s also fun and quite challenging sometimes. One more thing to note, often times, you will need to change some elements of your online course website like the color combination of the site, add some sections, etc to match your business’s branding or to match the upcoming festive environment. This is something that would be very easy to do with WordPress. On the other hand, Teachable’s structure offer a fixed template that you have little ability to edit and make it as your imagination. This is actually a very good idea for users who have limited coding and design knowledge. The original goal was to make people do more with less by not having to worry about the design and how the system work. However, there is no one-size-fit-all solution to everything. A website about women beauty can never be the same as a website for men’s wear. The template for online courses of different topics should also be the different. Once you recognize this point, Teachable may disappoint you a little bit. Also, as you are selling online, when the sale is not up to your expectation, it is understandable that you will want to tweak some sections to get the ideal conversion rate. Unfortunately, this is not possible with third party hosted education platforms like Teachable or Thinkific. Online course creation services have one thing in common: they are all subscription services. In this regards, solutions like Thinkific, Teachable have many pricing options with different range of features. The higher the subscription fees, the more features available. Some plans even allow you to use the feature but very limited on the quantity like you can have 2 owners/authors for the basic Teachable plan and you’ll get 5 owners / authors for their Professional plans. Generally, the course tuitions will be deducted 5-10% based on the plan you are using before reaching your wallet. Besides, since they are closed solution, there are very few chances to improve your website. Meanwhile, WordPress is the most popular CMS on the Internet, powering almost one-third of the web. This has given us a giant library of plugins and themes for us to extend our website. 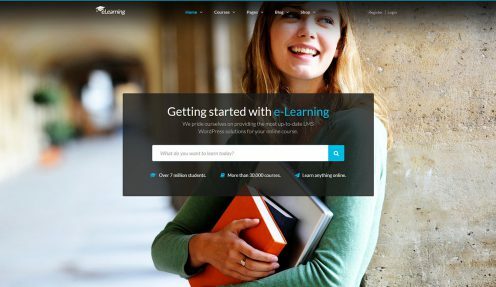 For LearnPress LMS, there are currently an ecosystem of dozens of WordPress themes from many different authors with hundreds of demos for each type of school, from kindergartens to universities, from teaching ESL to dance schools, from traditional offline TestPrep centers to modern EdTech startups. 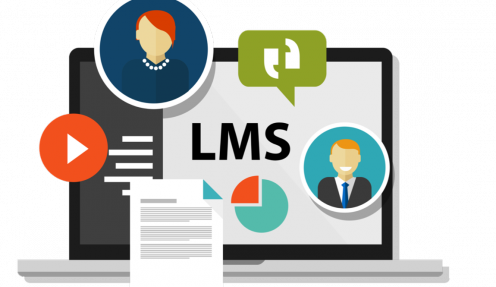 Being an open-source online Learning Management System for WordPress, LearnPress LMS opens up the opportunity and allows your dream to come true. In conclusion, if you are so busy with plenty of students and you don’t want to ever have to worry about how things work, it may be a generally good idea to use third party hosted solutions like Teachable. This doesn’t mean you won’t use WordPress in that case. Indeed, you can use Teachable to host your course and use WordPress to blog about it and promote them by creating beautiful highly engaged landing pages. If you are just getting started and only have a small fan base, it is definitely the case that you use WordPress to avoid having to pay too much upfront and to save some resources. Almost all education WordPress themes based on LearnPress now go with one-click install option so the setting up process is fairly simple. 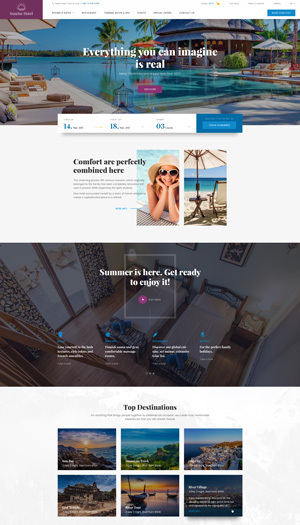 Also, they all come with a drag and drop page builder to help you quickly create gorgeous landing pages without any coding skills. All you need is a little bit of imagination and to think seriously about your website if you truly want it to work as a source of income.